Rookie, Ahmad Afif Amran put an end to Mohd Zaqhwan Zaidi’s unbroken string of fastest laps as he topped the CP130 opening practice in Round Seven of the PETRONAS AAM Malaysian Cub Prix Championship in Teluk Intan, Perak on Saturday. The Yamaha-man set a blistering pace of 55.713s, 0.090 seconds ahead of his PETRONAS Yamaha CKJ teammate, Mohd Affendi Rosli with (55.803s), simultaneously breaking the short-lived 55.829s lap record set by Norizman Ismail (Harian Metro Y-TEQ SCK Honda Racing) in the second free practice earlier today. Afif was not the only rookie who impressed as Mohd Haiekal Akmal Zakaria (Yamalube AHM) nicked third spot with 55.809s while Zaqhwan (Givi Honda Yuzy Racing) came in fourth and Ahmad Fazli Sham (PETRONAS Yamaha Maju Motor) fifth with 55.853s and 56.011s respectively. “We ran the first two free practice session with an old engine but it under-delivered so the engineers gave us the reserve units for the official timed practice. They have been running R&D with these new engines for months and it made a world of a difference. I could ride quicker with more confidence,” said Afif. Afif is currently placed fourth overall in the CP130 standings with 73 points, 27 points adfrit Zaqhwan who leads the championship with 100 points. 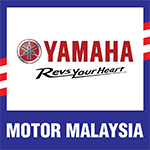 Meanwhile, Motul Yamaha YY Pang’s Tengku Amirul Haffiruddin fended off Mohd Amirul Ariff Musa (Givi Honda Yuzy Racing) to clock in the quickest lap time in the CP115 category. The Terengganu-born rider posted the quickest lap out of 21 riders in 56.610s while Amirul settled for second best with 56.640s followed by Tengku Amirul’s teammate, Mohd Izzat Zaidi Salehan with 56.674s. Wrapping up the top five were Ahmad Syukran Aizat (PETRONAS Yamaha CKJ) in 56.976s and CP115 overall standings leader, Zaidy Mohd Zaifaizal with 57.083s. Besides the top five, others who qualified for Sunday’s Shoot-Out include Abdul Muhaimin Roslan, Kasma Daniel, Luqman Shakiemi Hakim, Mohd Rozaiman Mohd Said and Mohd Irwan Hafiz Amran. Lastly Khairul Idham Pawi continues to assert his dominance in the WIRA category as the Kozi Yam Honda Racing topped the practice timesheets once again. Khairul who has enjoyed five consecutive victories since Muar (Round Two) stopped the clock at 58.907s ahead of Mohd Azam Omar (PETRONAS Yamaha) second with 58.888s and Mohd Afiki Supaat (Jetron Apido Team PJM) third, 58.907s. Felda PbafB Tech Racing’s Fairuz Nasir and Qhuwarismi Mohd Nasir completed the top five with 59.486s and 59’503s respectively.